The USASF offers programs the option to register non-coaching and/or non-owner staff members as Personnel through their program profile. This membership category is offered as a way for program members to designate non-coaching staff as warm-up room eligible. The USASF considers this membership option a courtesy for our program members to implement and utilize as needed within their program. No program is required to enroll any or all of their non-coaching staff as Personnel. However, if a program has essential staff members who will require access to the warm-up room at a sanctioned event then they must: (1) enter their information, (2) activate their membership by paying the annual membership fee, (3) initiate a background screening. If a green light background check determination is rendered, the program administrator will: (1) upload a picture, (2) order an ID card, and (3) add eligible personnel to the appropriate rosters. Annual membership for Personnel is $30. Once the membership fee has been paid, the person is considered an Auxiliary Member of the USASF and must follow the terms and conditions of the Professional Responsibility Code (PRC). Membership will be valid for the current season and includes one complimentary ID card per season. There are no other benefits provided with the auxiliary membership category. All Personnel functions will be managed through the USASF Program Profile by the program administrator. Auxiliary Members will not have a user name or login privileges to a USASF Member profile. The USASF considers this optional membership a courtesy category for our program members to implement and utilize as needed within their program. The background screening process will be initiated by the program administrator from the personnel page in the program profile. An email will be sent to the Personnel member with a specific link for them to continue through the background screening application process. Once a green light is rendered the determination will automatically post to the personnel record in the program's profile. The Professional Responsibility Code establishes written principles that guide the conduct of all USASF members in situations that have Professional ethical implications. The PRC is offered to confirm to all USASF members the intent and will of the USASF leadership to safeguard the best interests of All Star. The PRC demands USASF members conduct themselves professionally and responsibly at all times. These acts of Professional Responsibility are outlined for the purposes of maintaining the integrity and legitimacy of All Star, as well as safeguarding the children that participate. A program must provide proof of (and maintain) current commercial general liability insurance that includes, at a minimum, participant legal liability and participant excess accident medical insurance. This may be a single policy or individual policies. All locations must be covered. This must be uploaded to the Program Profile for a program to be eligible to compete at a USASF sanctioned event. The safety and welfare of the All Star athlete must be at the forefront of all programming considerations. The USASF requires (beginning the 2017-2018 season) that all member Programs have clear, written guidelines that prohibit adults who have contact with minors from engaging in conduct that is either inappropriate and/or illegal. The USASF has partnered with the Positive Coaching Alliance to provide an applicable policy and protocol. This policy will be the default Athlete Sexual Abuse Prevention Policy for all member programs. Members may choose to adopt and implement the USASF's default policy or implement their own. If a member program creates its own Athlete Sexual Abuse Prevention Policy, the default policy will no longer apply. A program may implement a policy that is more restrictive than USASF's recommended policy. It may not be less restrictive. The USASF recognizes the need to address the prevalence of inappropriate messaging between adults affiliated with a USASF Member program and athletes via email, texting, and social media. The USASF requires (beginning the 2017-2018 season) that all member Programs adopt a clear and concise policy regarding Electronic Communication. It is evident that electronic communication has significant positive benefits, but we must address the availability it yields for an adult with bad intentions to breach an athlete's rights of privacy and their physical and emotional safety. In order to fully protect the athlete members we serve, a clear policy and written expectations about using electronic communications must be available and implemented by every USASF Program Member. The USASF has provided a model policy to be reviewed and agreed to by athletes, parents, coaches and other adults affiliated with the program in order to help members who are unable to create their own written electronic communication policy. The model policy provided by the USASF will be the default electronic communication policy of all member Programs. Members may choose to adopt and implement the USASF's default policy or implement their own. If a member program creates its own electronic communication policy, the default policy will no longer apply. A program may implement a policy that is more restrictive than USASF's recommended policy. It may not be less restrictive. USASF member programs are required (beginning in the 2017-2018 season) to have an action plan to address bullying. The plan must be reviewed with and agreed to by all athletes and adults affiliated with the member Program. The USASF has created a model plan that will become the default policy for all member programs. Members may choose to adopt and implement the USASF's default policy or implement their own. If a member program creates its own Anti-Bullying policy, the default policy will no longer apply. A program may implement a policy that is more restrictive than USASF's recommended policy. It may not be less restrictive. Regardless of the policy a member Program chooses to implement, the program will be expected to implement the policies when reports of bullying are made. Members will no longer go directly to the National Center for Safety Initiatives (NCSI) website to initiate their background check. On your MY PROFILE dashboard you will see a box with your membership information. Once NCSI renders the determination, it will post directly to your profile. The Personnel Member will need to log into their email and follow the instructions included in the email. It is important to note that the email is SPECIFIC to that Personnel Member and they must follow that link so that it updates back to their Personnel Profile once NCSI has rendered the determination. All USASF member Coaches, Program Owners, Athletes, Personnel, Event Producers and Affiliates are bound to the terms of the PRC. 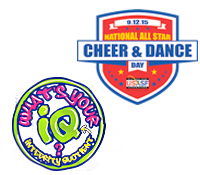 Please share this link with all members that are affiliated with your All Star Program. Follow this link for a complete list of all sanctioned event requirements for all membership categories. Relive the fun...or see what you missed at the Inaugural USASF National Meeting! Coaches and owners came together to ELEVATE All Star! Don't miss it next year!